AWS Customers Can Finally Consider Hybrid and Offline Use Cases | Constellation Research Inc. 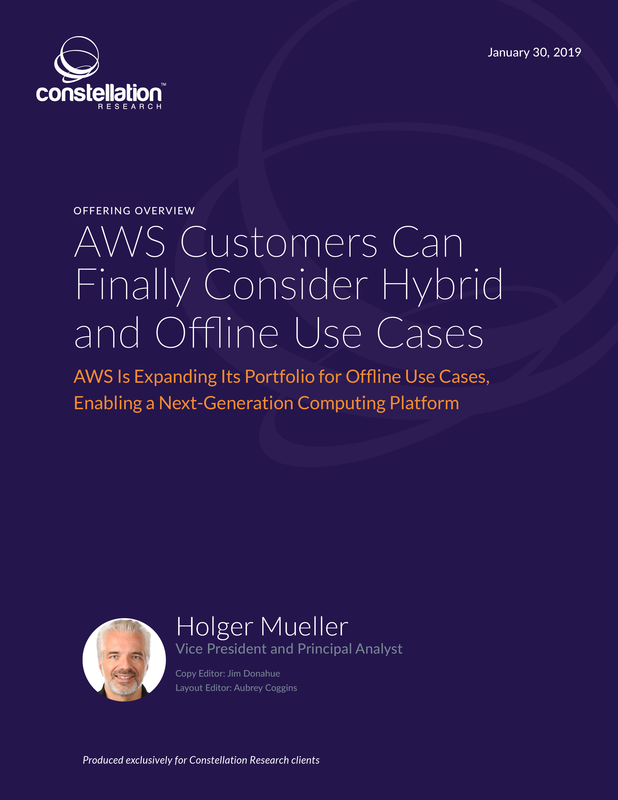 This report provides an overview of Amazon Web Services’ offline offering portfolio, specifically AWS Snowball Edge, AWS IoT Greengrass and AWS Storage Gateway. We examine the key differentiators of each of these products. Next, the report presents the strengths, weaknesses, opportunities and threats of the AWS offline portfolio and concludes with recommendations for CxOs who may want to use these AWS offerings as part of a computing platform for their next-generation applications.